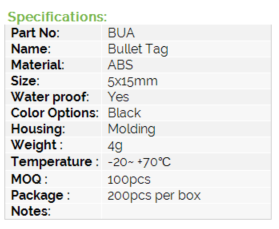 Click the button below to add the BUA - RFID Bullet Tag, Mini Size Cylinder Tags to your wish list. Cylinder RFID Tags can be widely used for wooden tracking, furniture management, gun management, device embedded. 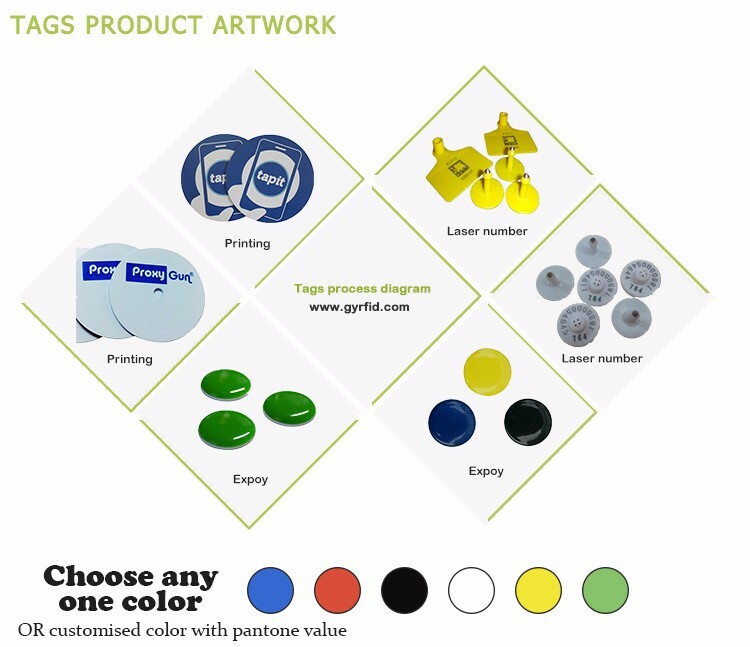 GYRFID presents several kinds of RFID cylinder tags like Nail Tags, Tube Tags, Bullet tags, glass tags for different applications.